If you don’t know the context behind the quote, here is a pretty good summary and analysis. Maybe Roth’s statement was kind of silly. “Torture” is probably too strong a word (yeah, I know he’s not being literal! ), but writing can be frustrating, especially when some young punk writer interrupts your meal. I hate being interrupted while I’m eating. I really hate it when it’s by somebody that I don’t know. If a writer can’t enjoy eating at a restaurant without being accosted by a creepy (speculation on my part) waiter with a book, then what’s the point of being a writer? Nobody wants to think about a book titled Balls while eating dinner. The last thing I want to think of while I’m eating is somebody else’s Balls. Even if I wrote a book called Balls, I wouldn’t want to think about it while eating. That was incredibly insensitive of the writer/waiter who interrupted Roth’s meal. Philip Roth is an old man who had his meal interrupted, so I give him a pass on anything that he said during that conversation. Besides, I like old men who say what they want (as long as it’s not racist or homophobic… and even then it’s funny sometimes). Elizabeth Gilbert (author of Eat, Pray, Love, a book I’ve never read even though those are three things that I do) responded to Roth’s quote by saying writing is “f*cking great.” For some reason, that reminds me of Julia Roberts saying “I love my life” while handing out an Oscar a few years ago. It’s nice to love your life or think writing is “f*cking great,” but those are easy stands to take when you’re rich and famous. It’s more difficult to love your life or think writing is f*cking great when you’re unknown and struggling. Don’t get me wrong. I love my life too. I just don’t announce it at inappropriate times. I also think writing is f*cking great. That’s why I write my blog for free. I wouldn’t write Dysfunctional Literacy for free if I thought writing sucked (or thought it was torture). I agree with Elizabeth Gilbert’s comment more than I agree with Philip Roth’s, but I think that Philip Roth is way cooler than Elizabeth Gilbert, so I resent Gilbert for her comment that I agree with, and I appreciate Roth for his comment that I probably don’t really understand. It’s kind of weird how the human brain works. Thanks for this blog — it made my evening! Thank you for your comment. It made my day! LOL on the entire “Balls” paragraph! Writing is effing great. As long as we do it for the love, it shall never be a source of torture. I pretty much agree. I guess Roth wasn’t quite feeling the love of writing anymore (which explains his use of the word “torture”). The best quote I ever heard about writing is ‘Writing is like having neverending homework.’ So true. Sometimes you really enjoy your homework and can’t wait to get on with it – a fun project on the Tudors or something – and sometimes you just want it to LEAVE YOU THE HELL ALONE and STOP RUINING MY LIFE. To me, homework=torture. When I was in school, even the “fun” projects sucked (and I was a pretty good student). Although I sometimes feel compelled to write (not quite like the way I was compelled to do my homework), I’ve never felt like writing was ruinng my life. That’s why I feel disconnected from Roth’s quote, even though it’s kind of cool. 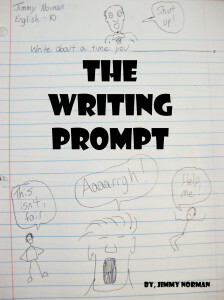 Funny essay! By the way, I think Julia Roberts was the perfect person to play Gilbert — someone who likes to hear herself talking about herself (or in Gilbert’s case, someone who likes to write about herself talking about herself. Thanks for stopping by and checking out Travel Oops. Cheers! « Is Writing “F*cking Great” or “Torture”?